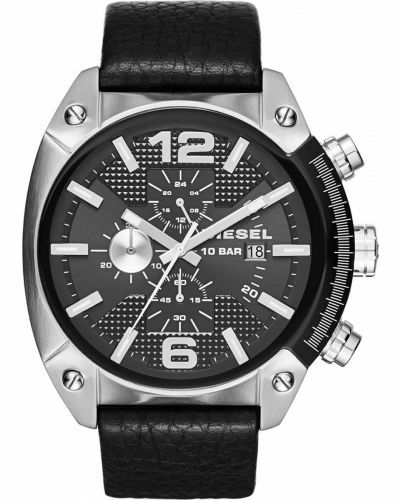 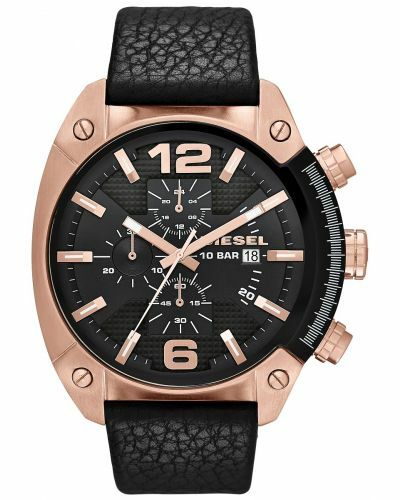 Men's Diesel Overflow stainless steel brown leather chronograph strap watch with a large 49mm case. 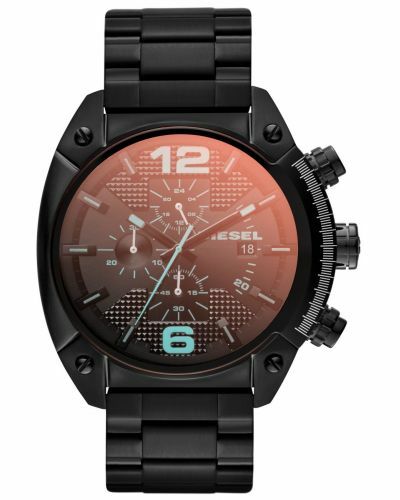 Has a textured black dial with large silver markers and hands, a date display window and vibrant coloured sub dials. 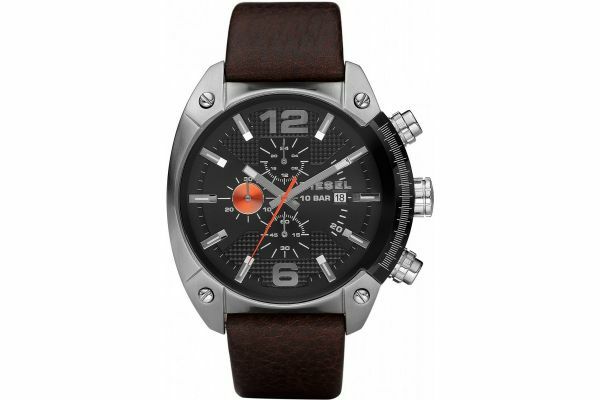 Features a thick brown leather strap with a stainless steel buckle. 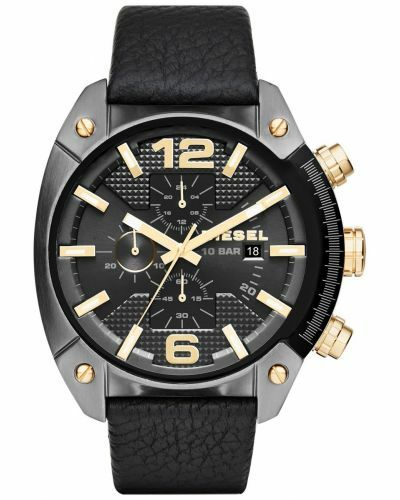 Powered by a quartz movement and comes with the Diesel 2 year guarantee. 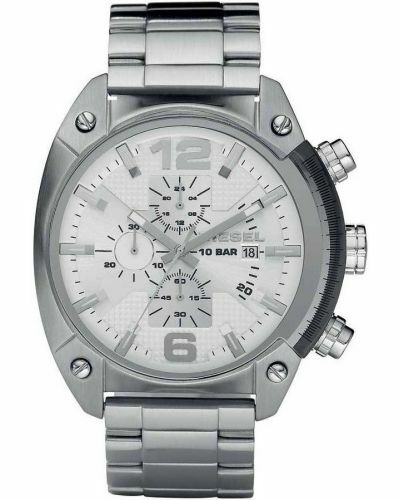 For us to size your new Diesel Overflow watch as accurately as possible, please take a look at our downloadable Watch Sizing Guide.